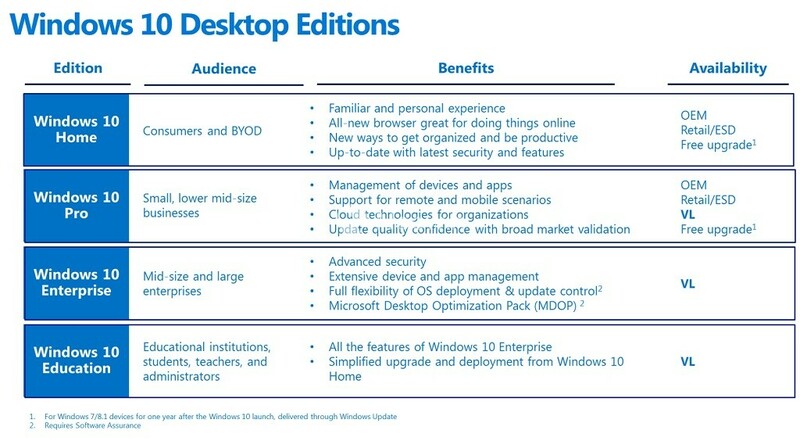 As we’re getting closer and closer to the launch of Windows 10 on July 29th, Microsoft is not only polishing the OS, but it’s also pushing its message to OEMs and consumers. 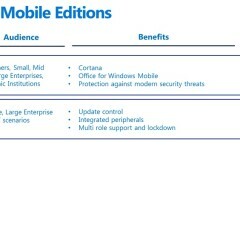 In a webinar for OEMs that took place yesterday, we got to see how the company is positioning Windows 10, and how it’s not only encouraging its partners to focus on the OS, but also helping them to market it. 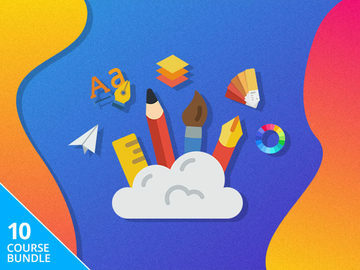 Unfortunately there wasn’t a lot of new info here, with Microsoft staying true to its previous messaging: One Windows, across devices, which empowers users to be more productive than ever before. Still, that’s not to say this wasn’t an interesting session. 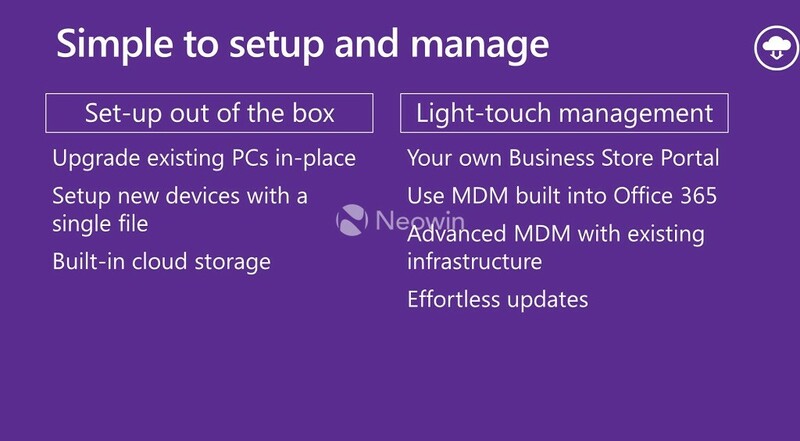 If anything, it’s the clearest message we’ve seen come out of Microsoft in regards to Window 10, with the Redmond giant being laser-focused on some marketable aspects of the new operating system. 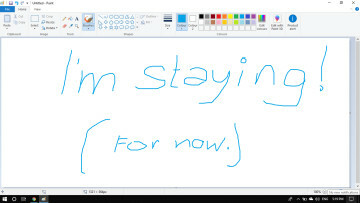 more productive thanks to Edge and (touch) Office. 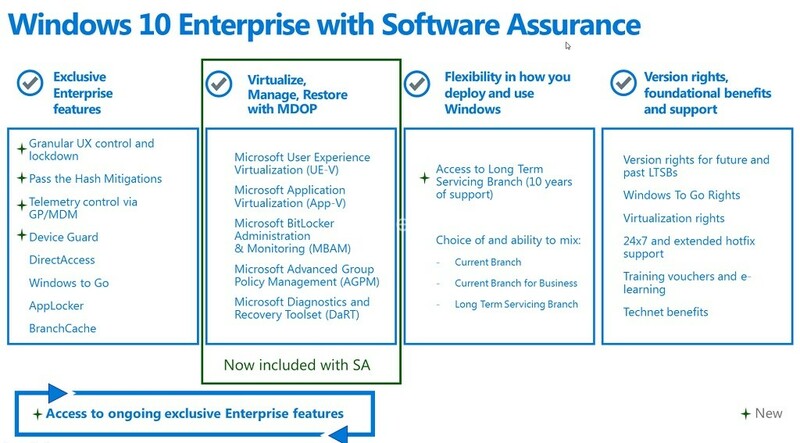 Where the message gets a bit more interesting is in the small and medium business sector, mainly because Microsoft hasn’t talked as much about this previously. 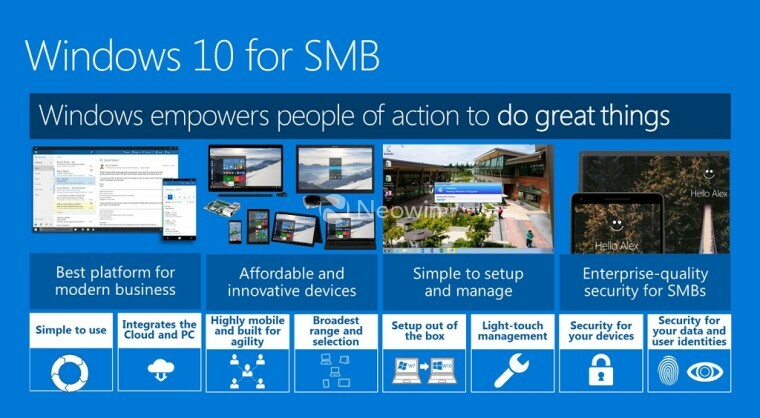 The company obviously sees the Pro version of Windows 10 as the perfect fit for SMBs. 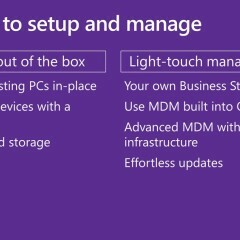 As you can see in the slide above, the company touts the simplicity and security of Windows 10 Pro, mentioning the easy setup, new OOBE, easy device management, and the integration with the cloud through OneDrive and Office. 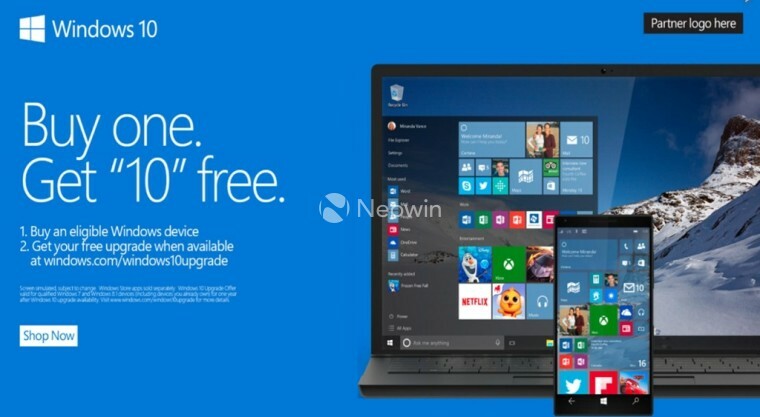 Microsoft also insisted on the easy upgrade process from previous versions of Windows. 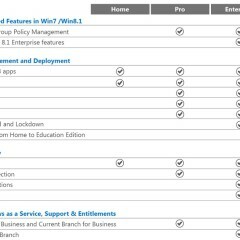 We already knew this, but the company re-iterated that all drivers were migrated to Windows 10 for what should be a seamless transition. 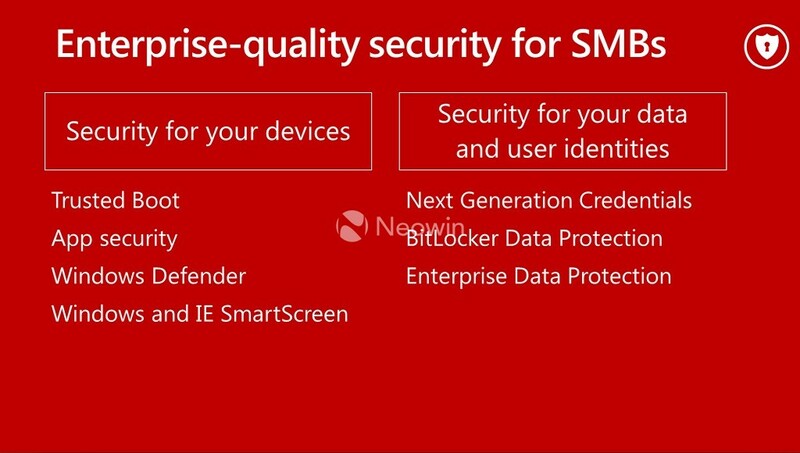 Also worthy of pointing out, is Windows Defender alongside vulnerability mitigation, a new feature of Windows 10 found in all versions, will be automatically turned on by the system three days after an antivirus program expires. 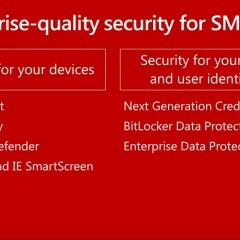 This goes to Microsoft's point of increased smart security for businesses. 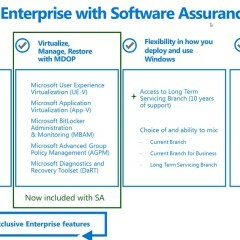 You can check out some more info on what Microsoft is offering SMBs this in the gallery below. 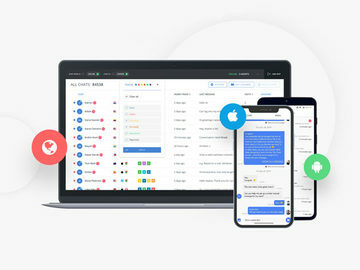 The company then went on to address the needs of Enterprise users, mentioning Office, Universal Apps, Windows Hello and biometric security and so on. 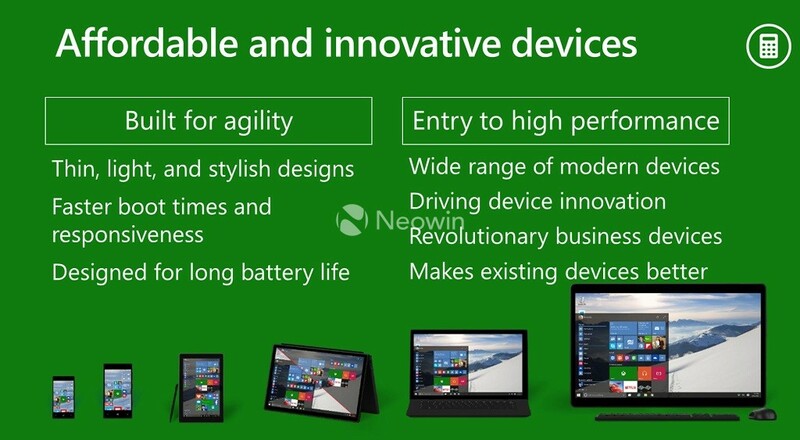 This sector is Microsoft’s most profitable market and Windows 8 failed to gain any traction here. 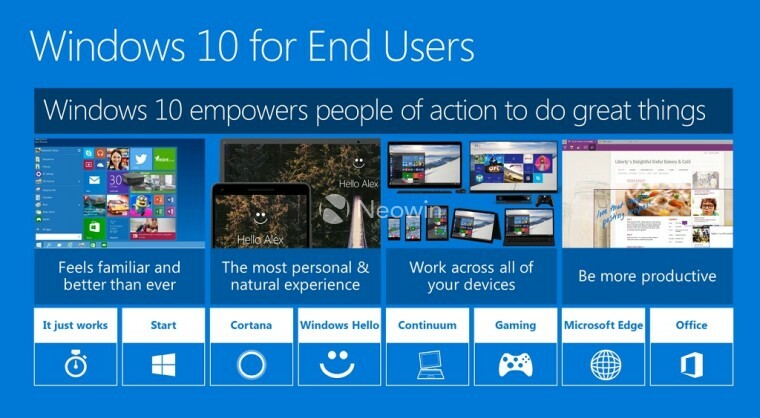 That’s why the company is determined to push Windows 10 as much as it can. 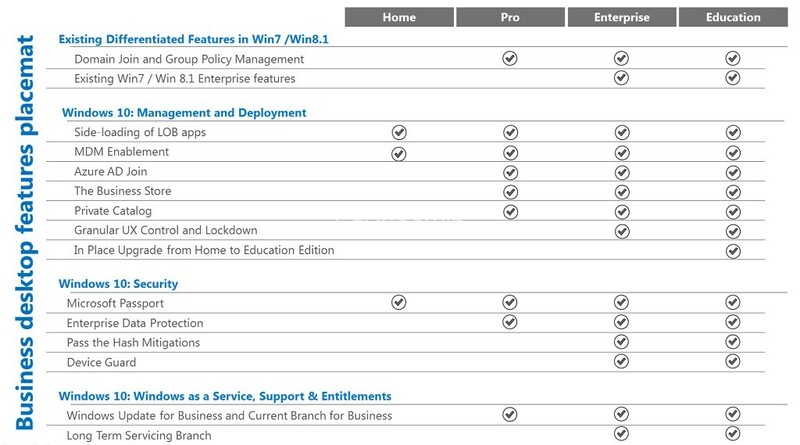 Microsoft also offered a bit more info on the Education SKU of Windows 10, a version that features the same security measures offered to enterprise customers, but with an easier upgrade and management path from Windows 10 Home. 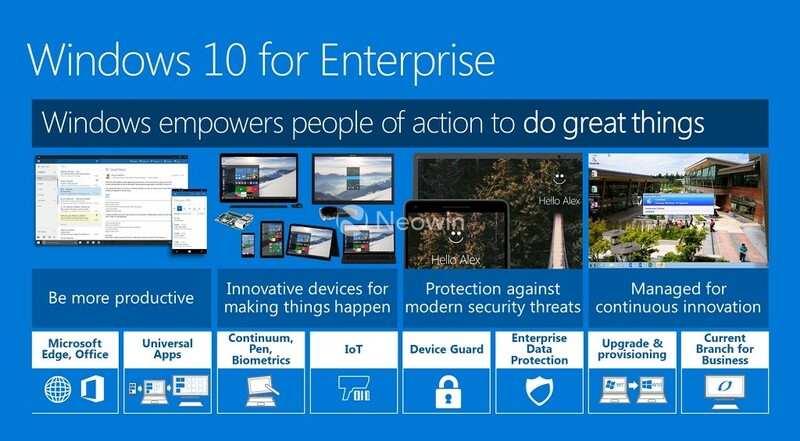 A few more noteworthy points mentioned in the presentation are that Microsoft mentioned Windows 10 devices would be ready "by the holiday". 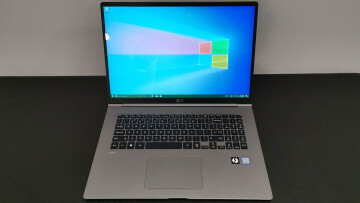 The spokesperson probably meant the holiday season, though, judging by what we saw at Computex, Microsoft seems poised to get on the "back to school" bandwagon. 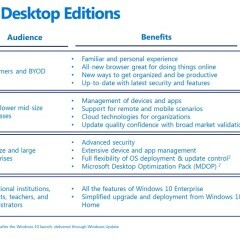 On a different note, the company spokesperson mentioned that Windows 10 devices would feature new license stickers, with lighter backgrounds for easier reading. 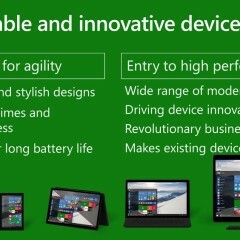 Apparently, this was a big complaint with Windows 8 OEM licenses that were occasionally rendered unreadable. 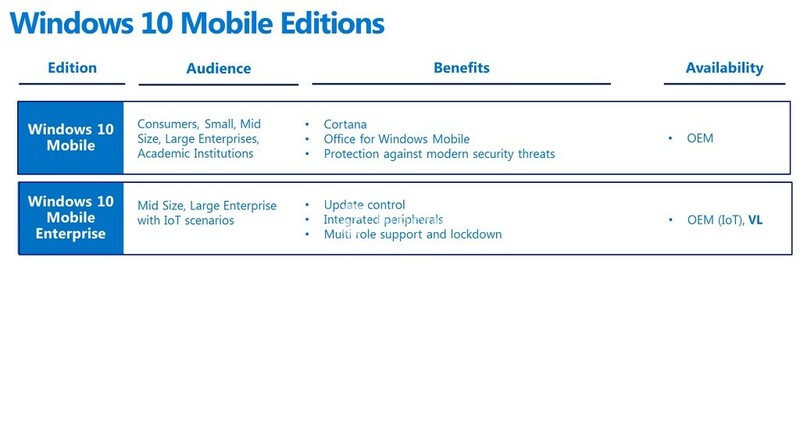 Finally Microsoft mentioned a possible launch window for Windows 10 Mobile, which we will cover in a different post. 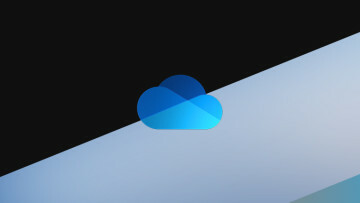 As we get closer to July 29th, we’re bound to learn even more info on Microsoft’s plans in regards to the new OS, including future feature upgrades and the path going forward, so stay tuned. Thanks Seeprime for the tip!